You can designate what happens to your pet after you die. Photo from blog.petsforpatriots.org. One simple step can ensure they will — include your pets in your estate plan. In Washington State, pets essentially have the same legal status at your death as your sofa – they are personal property. Without another direction in an estate plan, a pet passes to whoever would inherit your other personal property. This can be problematic. You might want members of your family to inherit your car or jewelry or sofa. However, he or she might not be the best person to love and care for your pet. When Sheila thinks of estate planning – which admittedly, she doesn’t often – she thinks it is for someone older, more mature, more settled than she is. But after hearing about Leona Helmsley and her extravagant pet trust, Sheila got to thinking about what would happen to Baxter and Teddy if she were to die unexpectedly. Sheila and Emily have promised each other that they will care for the others’ pets, but this plan is inadequate. Their informal arrangement presents numerous problems. If Sheila passed without a will, no one would know her wishes for Baxter and Teddy. There would be competing interests – Sheila’s parents, who would inherit the dogs under Washington law, may want to keep the dogs out of a perceived sense of loyalty to Sheila, even though they aren’t the best caretakers. And Emily would have no way to enforce Sheila’s wishes. The issues facing Sheila are similar to the decisions a parent makes with regard to a guardian for a minor child. I encourage pet owners to think about who should care for their pets just as I encourage parents to think carefully about any guardian for their children they name in their wills. Without an estate plan, you have no control what happens to it when you pass away. Image from Texas Humane Heroes. A will gives you the power to legally choose who will care for your pet. Your wishes will be clear and enforceable. Having a formal plan also frees family members from the burden of having to make this decision for you when they’re already suffering emotional distress. Caring for pets can be expensive. I encourage my clients to think about how their pet’s caretakers will pay for their new family members’ care. In our own wills, my wife and I have designated portions of our life insurance to cover our dog’s expenses for her lifetime. This ensures her new guardians will provide excellent care without putting a financial burden on them. An estate-planning attorney can help you choose the best financial tool for covering the costs of caring for your pet. In many cases, clients can make a simple cash bequest to the new caretakers. Many of my clients, for instance, expect that one of their children will care for their pets when they are gone. I discuss with these clients whether it makes sense to provide an extra bequest to the designated caretaker to cover pet care costs. Most of us never consider who will take care of our pets after we die. For pet owners with animal loving friends and/or family, picking a guardian for their pets isn’t a tough decision. But not everyone has that option. What if you don’t have someone like that in your life? Mary is a 76-year-old retired nurse living in Bothell. She has two four-year-old cats, George and Abby. Mary is single, with no children. Although Mary has a rich social life, she does not know anyone who would be a good choice to care for her beloved pets if she were to pass away during their lifetimes. A pet-savvy estate planning attorney could help Mary find and research other options. For example, some local animal welfare organizations will foster or re-home pets in exchange for a portion of your estate. Or Mary could appoint someone to take responsibility for finding the best possible home and guardian for her pet. Image from Owen Hodge Lawyers. Regardless of the plan, an estate-planning attorney should be involved to ensure that her wishes are clearly spelled out and legally binding. Without a designated caretaker, or a plan for finding one, Mary’s cats could eventually end up in a shelter. 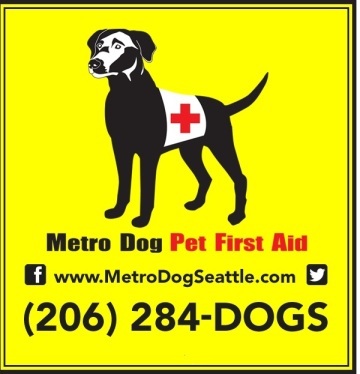 The Seattle area does have several excellent pet shelters rescue organizations. Still, it’s important to consider the stress and uncertain future your pet could face with this option. Don’t get me wrong, my wife and I are forever grateful to shelters for doing such wonderful work rescuing animals – our own dog’s life was saved by two different shelters, and we both continue to support animal welfare organizations – but by making a plan for your pet, not only will you have peace of mind that your pet will be cared for, you’ll also avoid burdening the shelter system. No one knows your pet as well as you do. 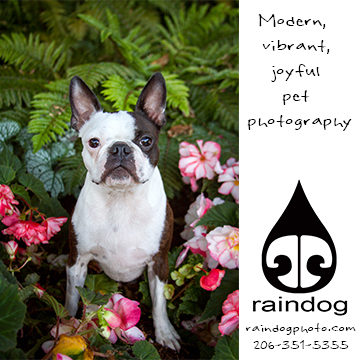 Documenting what you know will help your pet and a new guardian adapt more quickly to their new lives together. Sharing the basics, such as diet, exercise and medical information is important. So is describing your pet’s personality, including all the quirks that make him or her unique. Listing favorite toys, how to pet him/her (if at all), social skills with other people and animals, and other information will all help everyone bond more quickly. Most everyone knows they should have an estate plan. The reality is that many people don’t bother to make one until a life event occurs that highlights the perils of not having a plan. Be sure to talk with an estate planning attorney that understands the issues surrounding pets in estate plans. Including your pet in a will is the best way to truly make a lifetime commitment for your pet. Cairn Law is committed to helping our clients navigate the legal and practical issues surrounding estate planning, probate, business planning, and charitable giving. Contact John Creahan now. DISCLAIMER The information you obtain from this article is not, nor is it intended to be, legal advice. You should consult an attorney for advice regarding your individual situation. We invite you to contact us and welcome your calls, letters and email. But please know that contacting us does not create an attorney-client relationship. Do not send any confidential information to us until such a time as an attorney-client relationship has been established. Pets are often an overlooked part of the estate planning process, but I completely agree that they are property and need a plan to ensure their care. I’ve often heard that pets are often more distraught after losing their owners than the owner is by losing a pet, so having a plan in place for your dog (or other animal) is essential to their well being.